Druckhaus Walsrode (Walsrode Printing House), which is based in the state of Lower Saxony in northern Germany, is replacing two Biliners with a FlexLiner featuring sword opening in the middle of this year, which will greatly increase the speed of its inserting process for newspaper supplements thanks to the press-to-hopper technique. Four daily newspapers (with runs of between 2,800 and 11,000 copies) and a range of weekly newspaper (with runs of between 8,000 and 55,000 copies) are produced at Druckhaus Walsrode, both for its own publishing companies (J. Gronemann GmbH & Co. KG and Kreiszeitung Verlagsges. mbH & Co. KG) and for external customers. Currently, at the weekend up to 14 inserts per advertising journal (with up to 30 insert variations) are inserted inline using two Muller Martini Biliners and then stacked. With its investment in a new FlexLiner controlled by the Connex.Mailroom data and process management system and equipped with 14 feeders that can be fed manually or using stream feeders, Druckhaus Walsrode will switch to an online solution in two months’ time. At Druckhaus Walsrode, the main jacket is fed directly to the new FlexLiner newspaper inserting system from the NewsGrip chain (press-to-hopper technique). 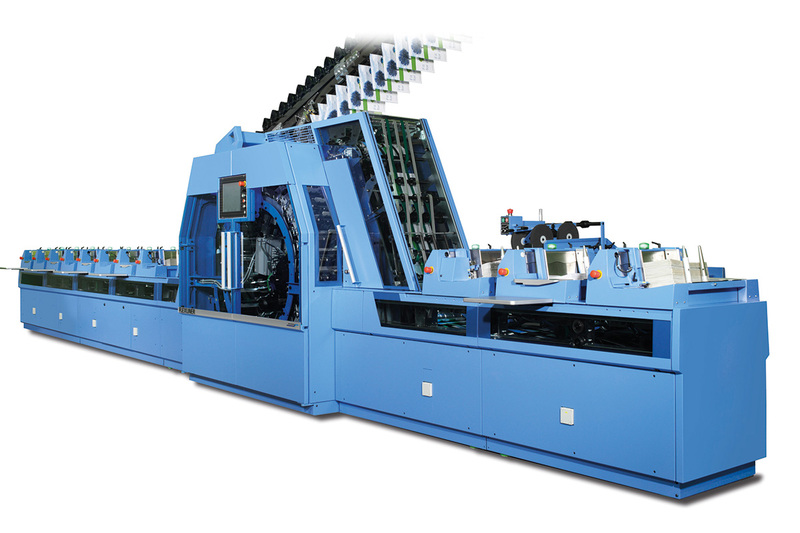 The main jacket enters the new inserting system directly from the printing press via a NewsGrip A-chain (press-to-hopper technique) “We believe that it will make our inserting process considerably faster and therefore more cost-effective,” says Heiko Jaeschke, Managing Director of Druckhaus Walsrode.